Are you a young professional looking to get involved in the community? Emerging Leaders Society may be the right fit for you! Purpose: To build a stronger, caring community by engaging emerging community leaders and United Way supporters through volunteerism, education and networking. Vision: For each member to grow their relationship with the United Way of York County by increasing financial generosity, volunteerism, and civic engagement. CLICK HERE to view the membership criteria flyer. 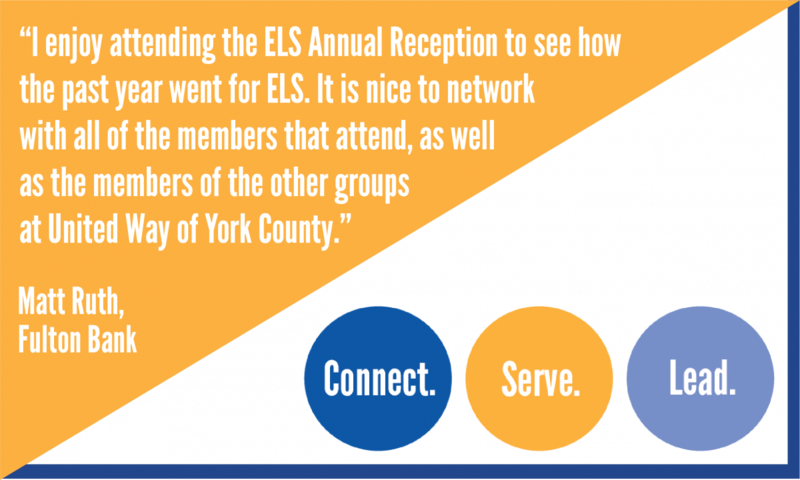 Save the date for the Emerging Leaders Society Annual Reception! 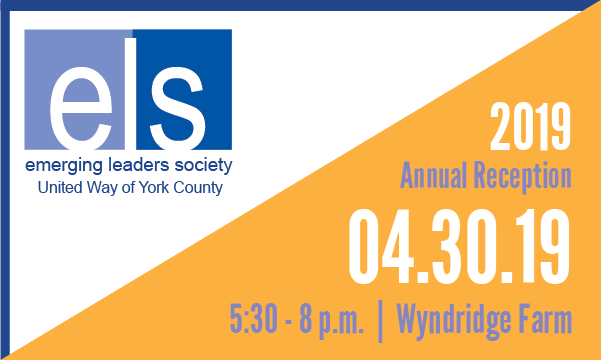 New and returning members of United Way of York County's Emerging Leaders Society are invited to kick off the year with a reception filled with good food, drinks, and great company. Enjoy beverages and bites from Wyndridge Farm, get to know fellow members, and network with United Way Leadership and Tocqueville Society givers. CLICK HERE to RSVP by April 22. Missed the 2018 Annual Reception? CLICK HERE to view photos. Questions? 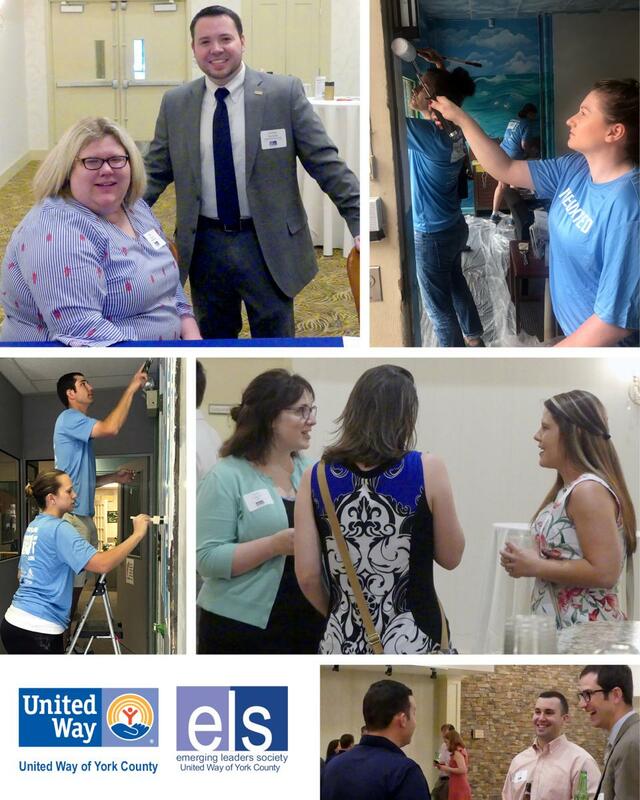 Contact Zachary Reynolds at reynoldsz@unitedway-york.org or 717.771.3812. What does it look like to be a leader? 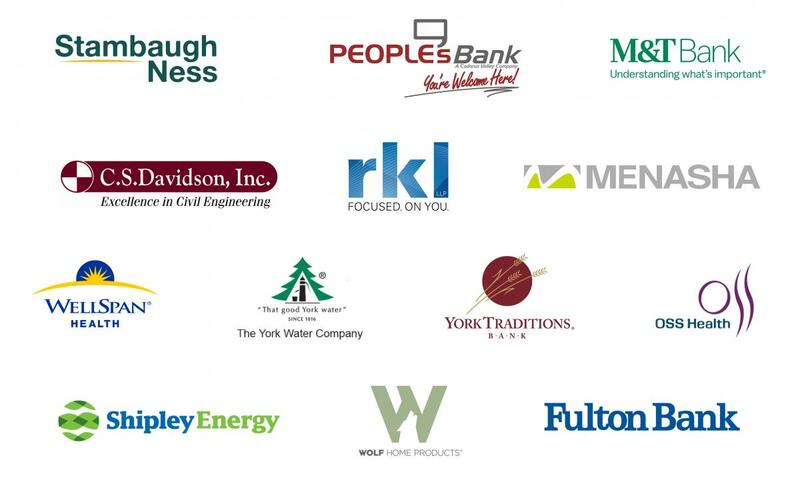 Learn from a distinguished keynote speaker, three breakout sessions, a panel of CEOs, and by networking with fellow young professionals in York County. CLICK HERE to learn more about the sessions and to register. Nicholas Snyder, energyObjective, A Shipley Energy Co.
For more information or to join the Emerging Leaders Society, please contact Zach Reynolds at 717.771.3812.